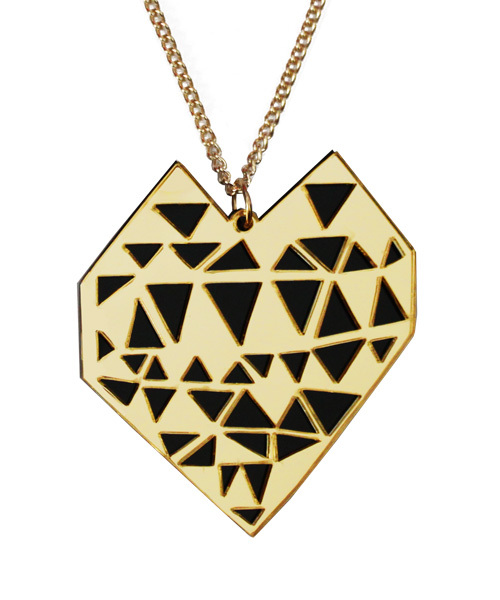 We have all had our hearts broken in our time and our latest necklaces - the shattered Geo Heart, is not afraid of showing this. 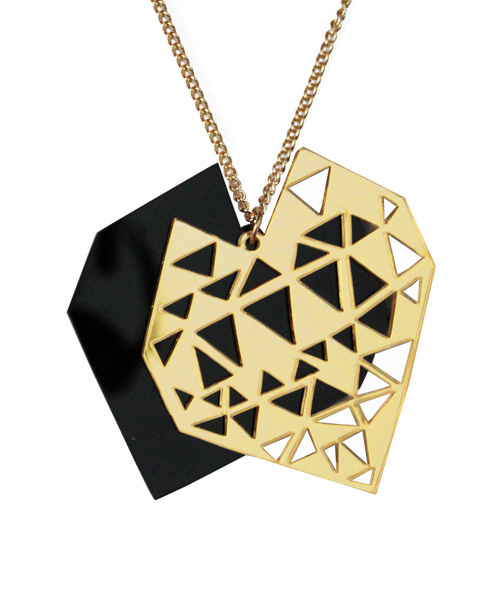 This necklace is available in two colour ways including pretty pink and red and gleaming gold and black. 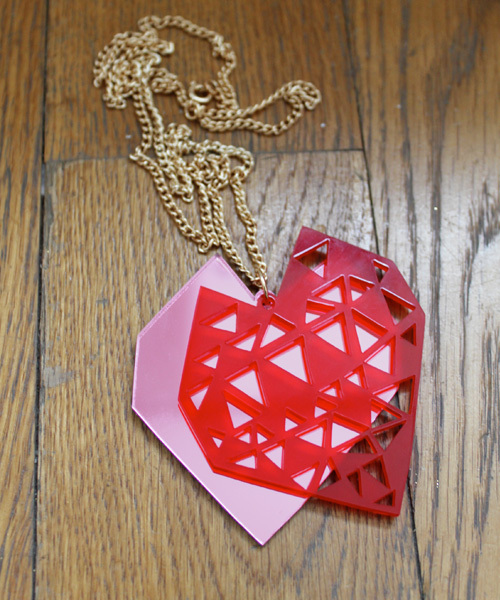 Each necklace consists of two layers of Perspex combining mirrored gold and pink with solid black and red. We heart you and now you can heart us too. Keep your eyes on the site tomorrow for our final part of the jigsaw, OK? !